Magnet is a rectangle that is 3 in. by 2 in. 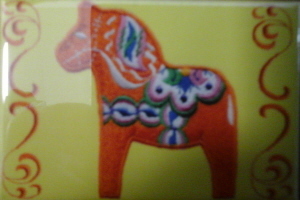 This magnet features a Red Dala Horse on a yellow background.